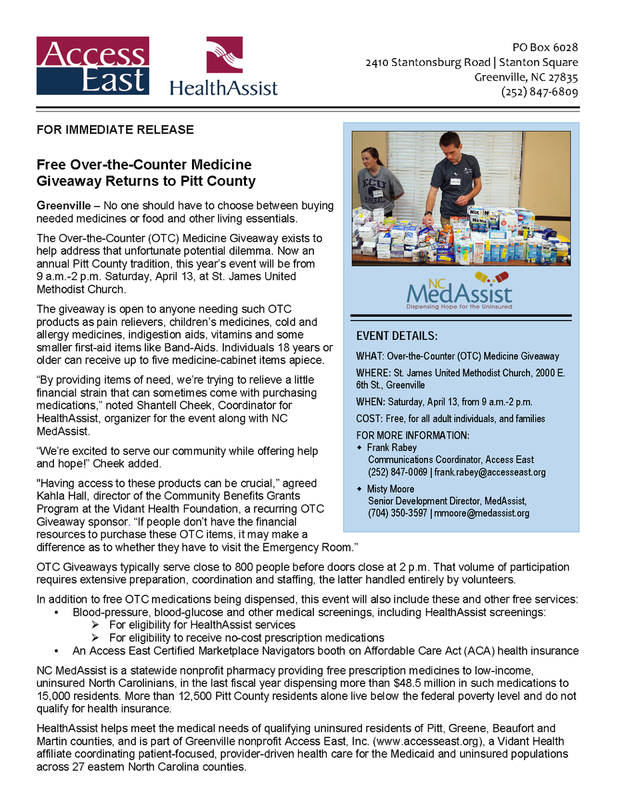 James D. Bernstein Community Health Center - Access East, Inc. 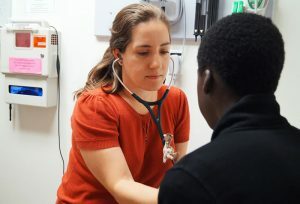 Built and owned by Access East, Inc., the James D. Bernstein Community Health Center provides high-quality primary medical and dental services to principally low-income and uninsured patients from Pitt and neighboring counties. “Our facility is state-of-the-art, with first-class equipment,” notes Dr. Tom Irons, Access East Board of Directors chair, and Associate Vice-Chancellor for Health Sciences and Professor of Pediatrics at East Carolina University. This 15,000-square-foot federally qualified health center (FQHC), located near the intersection of N.C. 33 and N.C. 11 just north of Greenville, is operated by a strong regional partner, Greene County Health Care, Inc. (GCHC). GCHC is well-positioned to provide superior safety-net services, keeping Bernstein open and operational, and staffed with primary-care, dental, and pediatric staff with a keen understanding of the facility’s historically underserved patient-base (several GCHC staff members are seen in the photos, above). 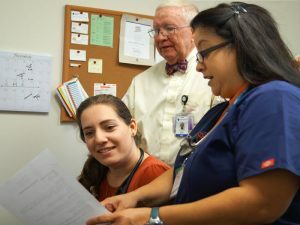 Many Bernstein staff members are also bilingual, an essential component for working successfully with a primarily rural population in Eastern North Carolina. The Snow Hill-based GHCC also runs three other primary-care sites and another dental care site, along with a school-based health clinic, all invaluable in providing this region’s most vulnerable with affordable, accessible quality healthcare. 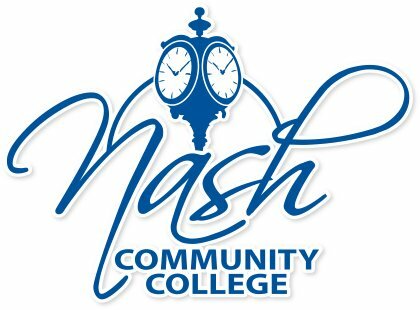 Among the additional ongoing community collaborations that make the Bernstein Center such a vital regional resource: Greenville’s Vidant Medical Center, a strong supporter of the facility since it opened, and Pitt Community College, providing on-site no-cost life-skills classes, as well as GED classes. The Bernstein Center accepts a wide range of insurance, in addition to its work with uninsured patients, who are seen on a sliding-fee scale. All patients who come in are, however, seen regardless of insurance status. That can keep things pretty challenging, Irons admits, but “GCHC has operated at a high degree of efficiency through trying times. “We’re very, very proud of this place,” he adds warmly.